Have you experienced financial loss? If you have, you’ve learned that success is not a straight line. 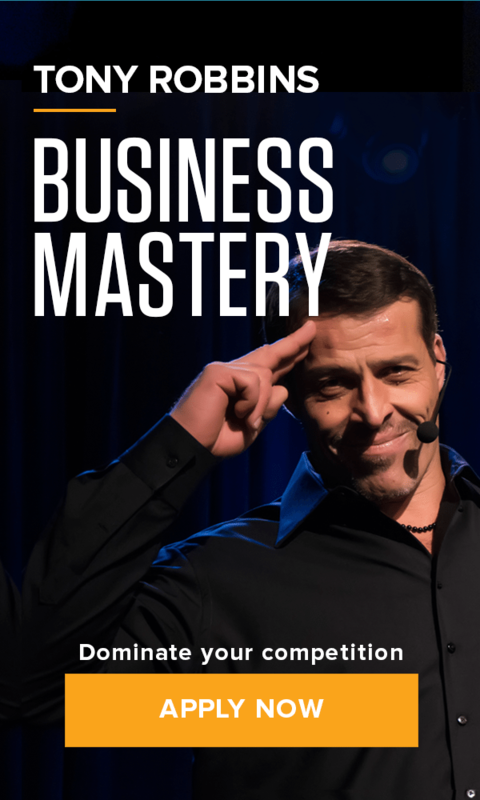 And you’re not alone in this realization: Financial loss in business is common – so common, in fact, that Tony Robbins considers it a natural part of building a business. The deciding factor in success is not how often you fail, but how quickly you get back up. Business owner Liliana Gil Valletta knows these challenges first-hand. Her business lost 40% of its revenue in one year. What would you do? Some people in this situation might focus on the business loss. Or they might stress themselves out thinking about how they will recover – how they will keep moving forward. Financial fear might creep in, making them hesitant to take risks in the future. Achievers will innovate, persevere and never lose their hunger. Successful people know if you do what you’ve always done, you’ll get what you’ve always gotten. Strategic innovation is the difference between a successful business and a failing one. Liliana knew she had to rethink everything after her huge financial loss. It was this need for innovation that brought her to Business Mastery. At Business Mastery, Liliana learned new tools to increase growth, create new services and add value. She discovered that losing a major client and their revenue turned out to be exactly what her business needed to reach the next level. How can this be? When her business was backed into a corner, Liliana did what any achiever would – figured out how to survive. “The adversity of losing almost 40% of our revenues forced us to create new services, to add new value, to launch new products,” Liliana says. “If it wasn’t because of that loss, we would have never started. So it’s the best blessing in disguise.” The importance of constant and strategic innovation is just one of the powerful lessons Liliana learned at Business Mastery that allowed her business to start thriving again. Would you believe that passion is just as important as your business plan itself? Your passion is what keeps you going after a loss in business – especially one that seems devastating. Doing what you love is the reason you started your business in the first place, and you must not lose sight of that. “Business Mastery is an experience that allows you to overlay the essence of who you are and the nature of you with the opportunity to grow, make money and make an impact,” Liliana says. “A lot of people think those two have to be separated… [but] purpose and profits can live together.” Remembering your purpose can change your mindset, and Business Mastery can help. The ability to take decisive action is a key quality of any true leader – and it becomes especially important after financial loss. Liliana left Business Mastery knowing the next steps she needed to take – from innovation to hiring to execution. Business Mastery allowed her to discover what kind of leader she was and therefore understand what people she needs on her team. She even plans to return with her team to allow them to keep growing together. What’s your business waiting for? How can you innovate and take your business to the next level? Discover the answer at Business Mastery.